With the overall goal of capturing the attention of customers, following the birth of the NEX Group brand (born from an expansion effort from ICAP), the main goal of this project was to produce something compelling, interesting and eye-catching. Driving interest toward one of the branches of the company. 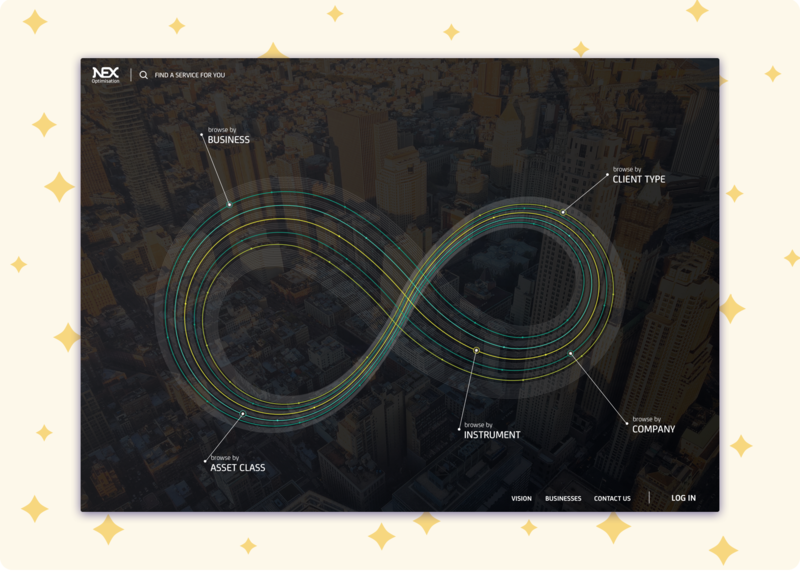 Starting this project, the main requirements were to create a design that was centred around the infinity loop branding style of the company and to allow users to browse through the different services provided by the specific company branch, and acknowledge their interest in these products for the future. 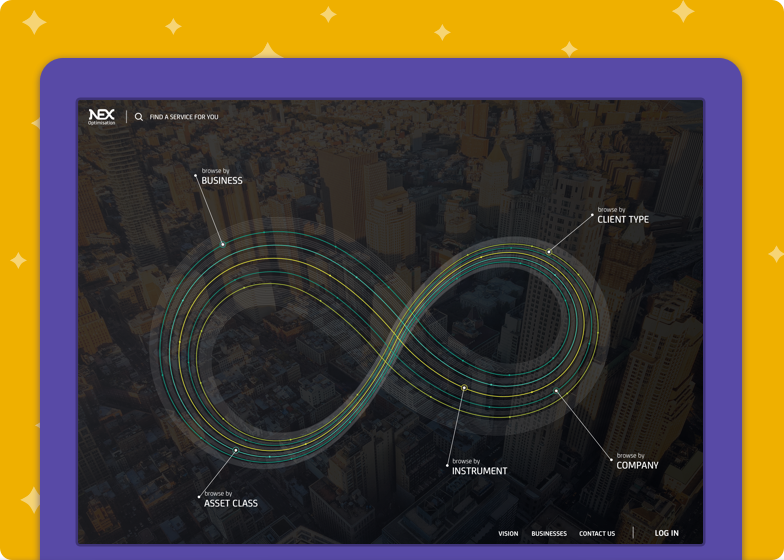 After 2 weeks of ideation and iteration on different designs, I was able to settle on an idea that merged the exploratory nature of this tool with the infinity loop symbol into a fun to use interactive tool. 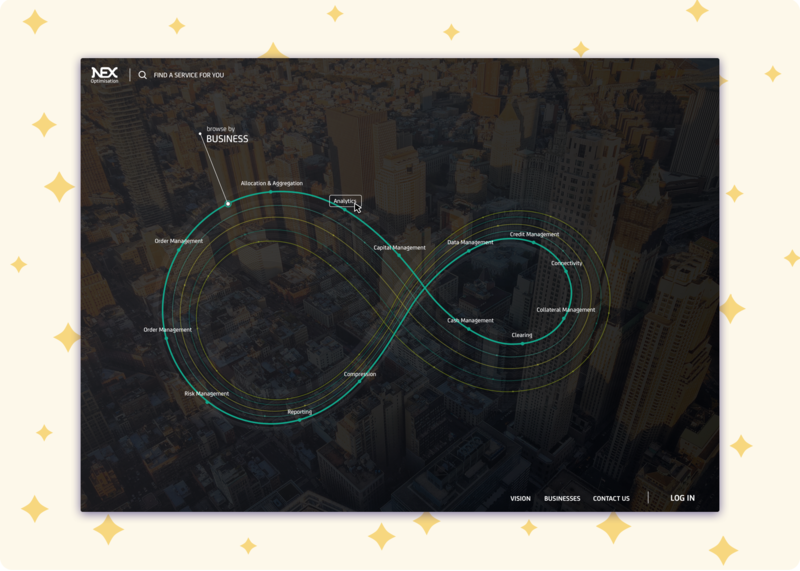 This design tries to bring meaning to the different orbits of the infinity loop by assigning them different services, and turns what was a static symbol into a playful web application. 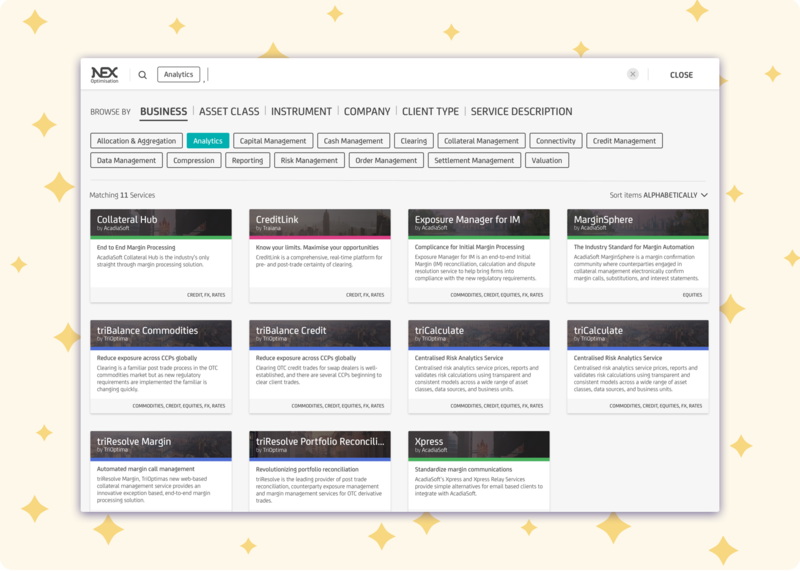 Users would also be able to browse services independently from this loop, in an effort to support more streamlined workflows and avoid repetition. A simplified mobile version was also created, supporting full responsive behaviour.